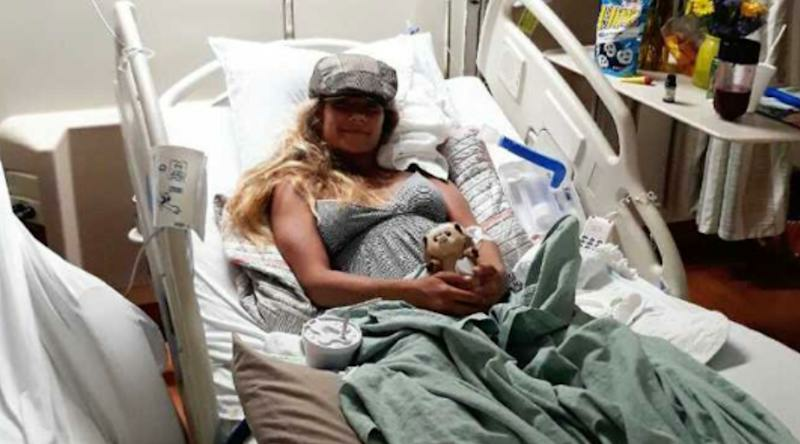 A 19-year-old waitress is recovering in the hospital after she jumped off of a Daytona Beach, Florida, pier to save a young boy who was caught in a rip current. According to local Florida station WESH, Hanna Pignato was working her Saturday evening shift at a Joe’s Crab Shack when she noticed that a boy was struggling in the water beneath the restaurant. At the time, she was working on the restaurant’s rooftop deck and quickly sprang into action to help the child. Want daily pop culture news delivered to your inbox? for Yahoo’s newsletter. WESH reported that Pignato gave her apron and personal belongings to a customer before jumping off of the Main Street Pier. When she dove in, however, she hit a sand bar and ended up having to be rescued herself. Neither Pignato nor Joe’s Crab Shack immediately responded to Yahoo Lifestyle’s requests for comment. However, WESH reported that the boy was saved. As for Pignato, she was taken to the hospital after breaking bones in both her back and her foot. She remains in the hospital where she’s recovering following surgery on her foot.